Antoinette Lattouf is a multi award-winning journalist and is currently a senior reporter at Network Ten. Her career spans television, radio and online. 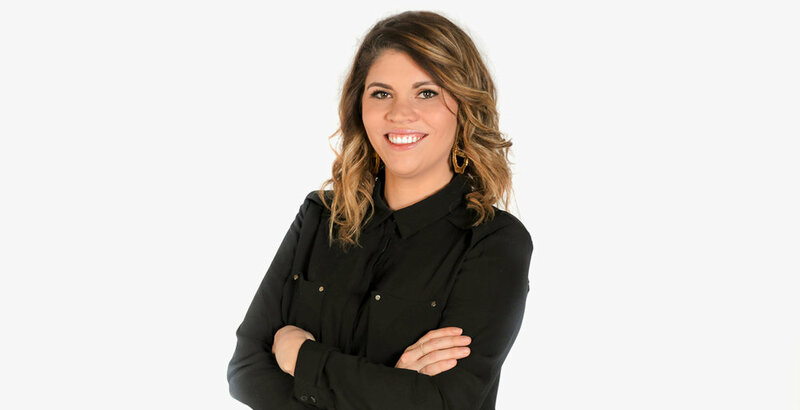 She's worked on a range of programs in both commercial and public broadcasting media including Media Watch, ABC News and Current Affairs, Ten Eyewitness News, ten daily, Studio10, Hack on triple j, SBS Insight and SBS World News. She's a mother of two who enjoys travelling, photography and cooking for her extended family. Marc Fennell is a radio and tv presenter, film critic, award-winning technology journalist and author of two books. Marc co-hosts SBS TV's Walkley and Logie nominated current affairs programme 'The Feed'. He also presents the media and tech series 'Download This Show' for ABC Radio. Marc is best known to 3.1 million young Australians as 'That Movie Guy' on triple j radio. He has also worked with The BBC, Telstra, Showtime, Network Ten, ABC TV, Foxtel and Monocle. In a previous life Marc was a record label art director and - oh so briefly - a hand model. Sirine is a Bilingual Presenter and Producer (speaking fluent Arabic and English), working locally and abroad for over 10 years across a diverse array of genres. Sirine has worked with global and Australian brands, including; ABC Foreign Correspondent, ABC Kids, Westpac Banking Corporation, Fremantle Media and recently, Football NSW as Facebook Live Host to their ‘NPL Live Show.’ Sirine has also just self-published her first bilingual children’s book – inspired by her curly haired, pocket rocket little girl, Elyssa. Ky Chow has worked in journalism for over a decade, after escaping from the corporate world. Starting at SBS Radio, he joined Sky News Business where he's 78% sure he was the first man of Chinese descent to be an Australian news reporter. Ky then ran an online video team at the Australian Financial Review. Since then he has reported for ABC Radio National Breakfast and freelanced as an MC, media trainer, video director and writer. Shannan Dodson is a Yawuru woman. She's worked in Aboriginal and Torres Strait Islander affairs for over 13 years and is a Communications and Digital specialist. She is the Communications Manager for the Pro-Vice-Chancellor (Indigenous Leadership and Engagement) Office at the University of Technology Sydney. Before this she was the Social Media Manager for the successful YES Marriage Equality Campaign and a Communications Advisor with The Healing Foundation that supports Stolen Generations members, communities and families. Christine El-Khoury has worked as a broadcast journalist and producer with over ten years experience in long-form news and current affairs. Starting at community television in Melbourne (but is still nowhere near as famous as alumni Waleed Aly), Christine moved to Sydney to join SBS television's Insight in 2006. This was followed by stints with NITV and the independent production sector, before moving to the ABC where she has worked for Q&A, 7.30 and won a UN Media Peace Prize for a Radio National Background Briefing on Anti-Muslim Extremists. Kevin Nguyen started in community television and as reporter and photographer in western Sydney. He has since worked abroad in New York, Washington D.C., Dublin, India and Hong Kong and has provided editorial consultation for publishers including News Corp Australia, ABC, New York Times, Washington Post and Al Jazeera. In a previous life he was a researcher in the School of Psychology at Western Sydney University.